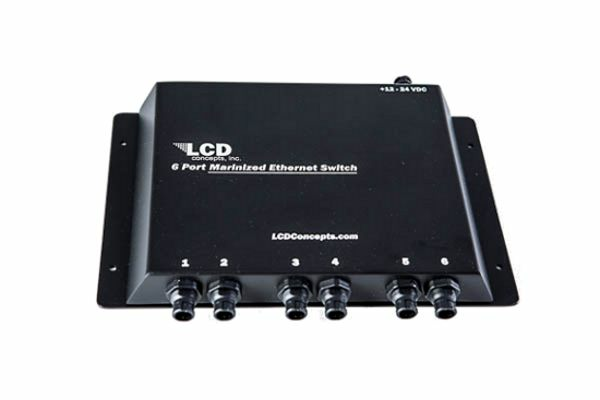 The MES-6P-F features six N-way 10M/100 Mbps auto-detect Ethernet/fast Ethernet ports. Plug and play with Furuno Ethernet cables from your external devices. 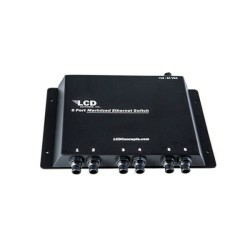 Automatically switches between full and half duplex modes, thus any port can act as up-link. Housings are made with marine grade aluminum and powder coated inside and out for long life. Rugged construction sealed to IP67 standards (compliant) for splash and dust. The electronics inside are coated with a corrosion blocker to further ensure reliability. Perfect for use with Furuno NavNet systems. Proudly Made in the USA with the finest materials available. For additional information please select the links below.